One struggle many women admit to after having children is trying to restore the contour of their bodies to their pre-pregnancy shape. While diet and exercise can help in a multitude of ways, these healthy behaviors cannot affect skin laxity—a common concern after the weight gain, loss, and stretching that often occurs during pregnancy—and therefore may not be enough to achieve the desired results. Dr. Michael Schwartz, our experienced plastic surgeon, performs tummy tuck and mini tummy tuck surgery on qualified candidates who are seeking a firmer, more youthful-looking midsection. Throughout pregnancy the body experiences many changes, and the effects, typically including the development of excess skin, loose muscles, and stretch marks, often cannot be significantly altered with traditional methods. Tummy tuck and mini tummy tuck surgery, however, are designed to address these specific concerns. During tummy tuck surgery, also called a full abdominoplasty, the excess skin on the abdomen will be removed and the underlying muscles will be tightened if necessary. In some cases, liposuction may be utilized to reduce pockets of fatty tissue. A mini tummy tuck is similar; however, this procedure only addresses the skin below the belly button. Dr. Schwartz will determine which method is appropriate for you during your initial consultation. 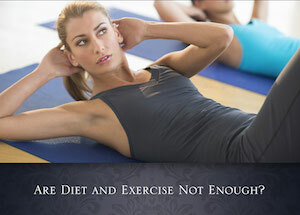 Don’t forget, tummy tuck surgery should be used as a complementary extension to diet and exercise. Qualified candidates will be in good health and close to their ideal weight. Furthermore, once completely healed from the operation, patients should continue their diet and exercise regimen to help maintain their results long term. If you have additional questions about tummy tuck or mini tummy tuck surgery, or if you would like to schedule a consultation with Dr. Schwartz, please contact us today.